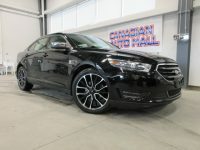 Certified used Ford Focus cars for sale in Ottawa at Canadian Auto Mall, used car dealer in Ottawa Ontario. If you are in the market to buy a used Ford Focus, whether it's a 2014 used ford focus, a 2015 used ford focus, a 2016 used ford focus, a 2017 used ford focus, or a 2018 used ford focus, give us a call at 613-831-3332. Our used Ford Focus vehicles are accident-free, certified, and emission tested. Our used Ford Focus' are priced competitively within the Ottawa and surrounding used car market. We always carry e-tested and certified pre-owned Ford Focus vehicles with factory warranties.